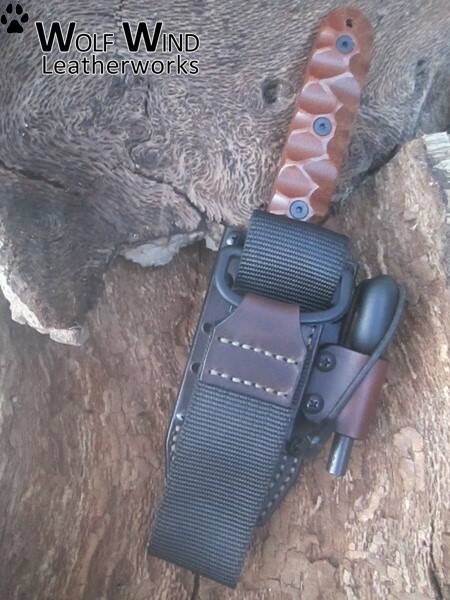 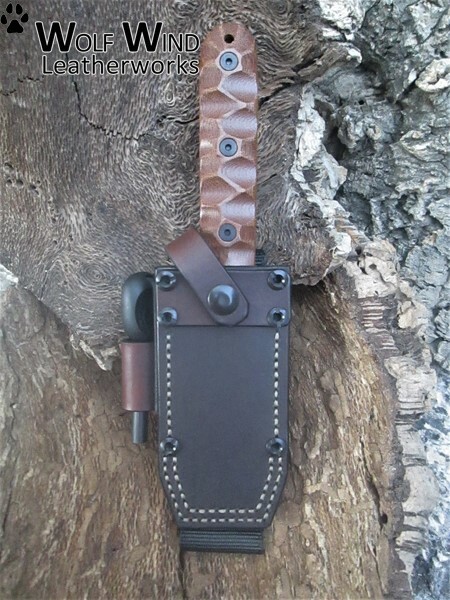 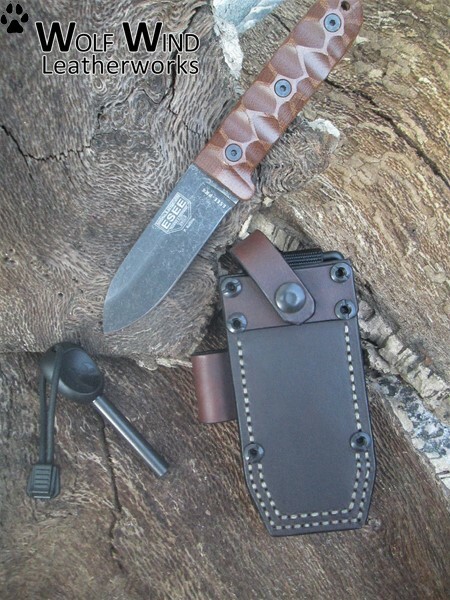 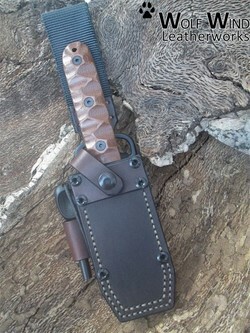 (which keeps the knives very secured but makes incredibly difficult to draw in an efficient manner since the leather covers most of the knife because the knife itself sits deep inside the sheath and roughly half of the handle will be exposed) to a modern heavy-duty design made with all the features suitable for bushcraft tasks and providing to the sheath itself a new approach. 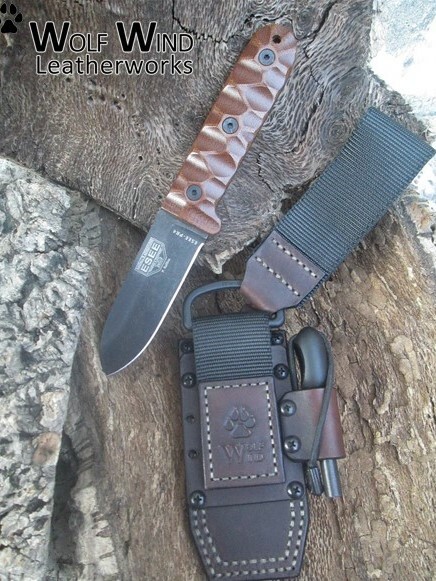 The Wolf XI Bushcraft sheath is an exceptional heavy-duty support for the blade since is made from 10/11oz (4/4,5mm) thick premium vegetable tanned leather. 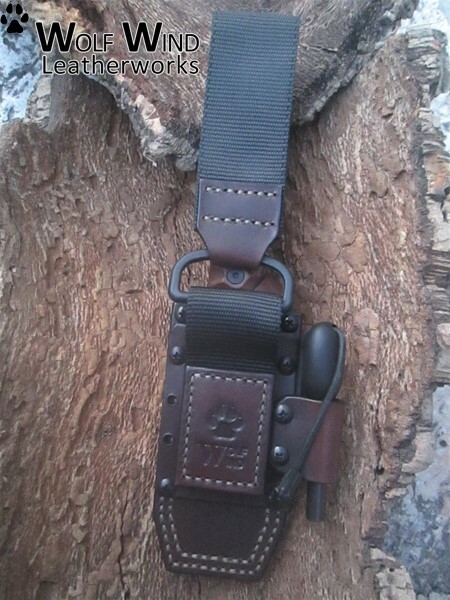 This bushcraft combination also features a belt military grade dangler made from Nylon Webbing Type 13 Class 1a, also, in combination with a nylon ITW Nexus D-Ring. 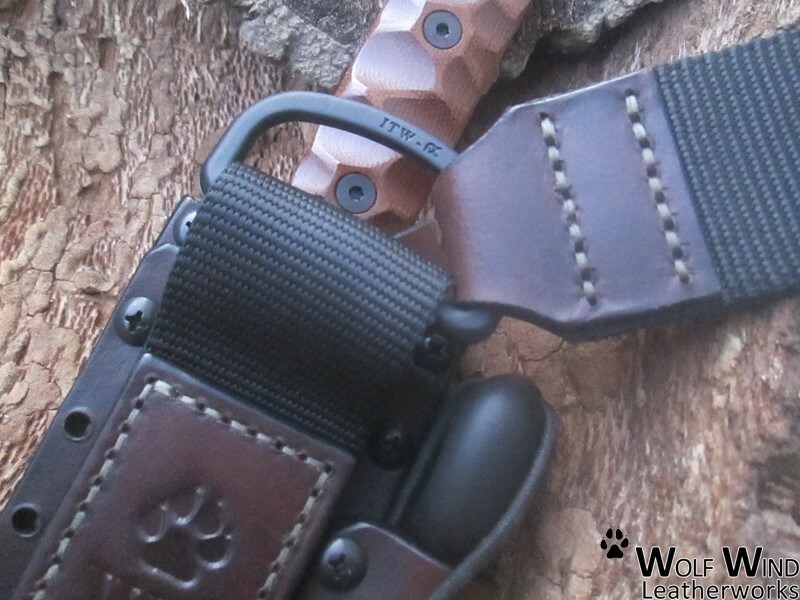 Also, the ITW Nexus D-Ring gives a free flowing movement. 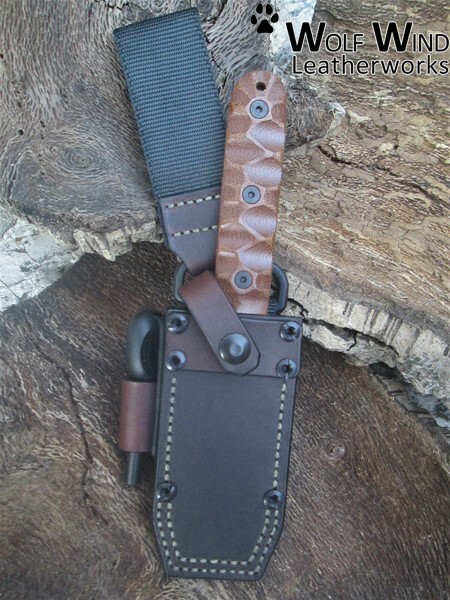 This means if you are sitting down, crouching or making any movement in basically any direction, the sheath will move with you and not stick in one position.